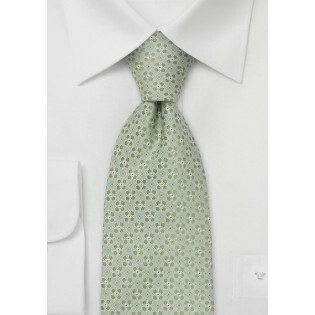 A stunning light pastel-green tie by Chevalier. This summer tie looks best when paired with light fabric summer suits in tan, navy, and gray. 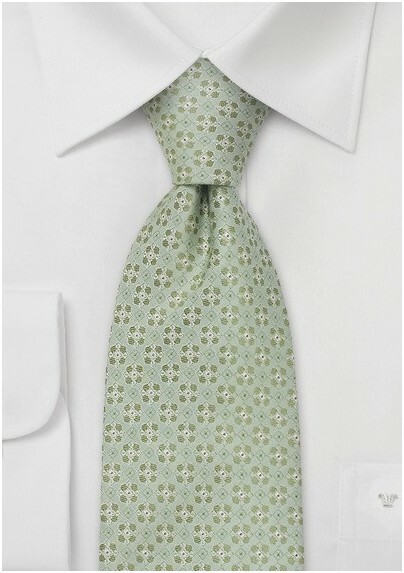 We suggest you show of this floral tie with a solid white shirt, tan suit, brown shoes, and a formal white handkerchief. We at Mens-Ties.com also carry this design by Chevalier in four other colors: light blue, orange, rose, and pastel-yellow. Made by hand from pure silk by designer Chevalier.